If I could wave a magic wand to fix a bad credit report, I’d be a rich man. Unfortunately, at least in my opinion, there is no quick fix for a bad credit score. That said there are things you can start doing now that will improve your score over time. If you are consistent and diligent, it’s possible to raise your score a hundred points or so in six months, but it will take diligent effort. The first step is to know what your score is. Because most lenders will look at a Main Street business owner’s personal credit score along with their business score, we’ll start there. 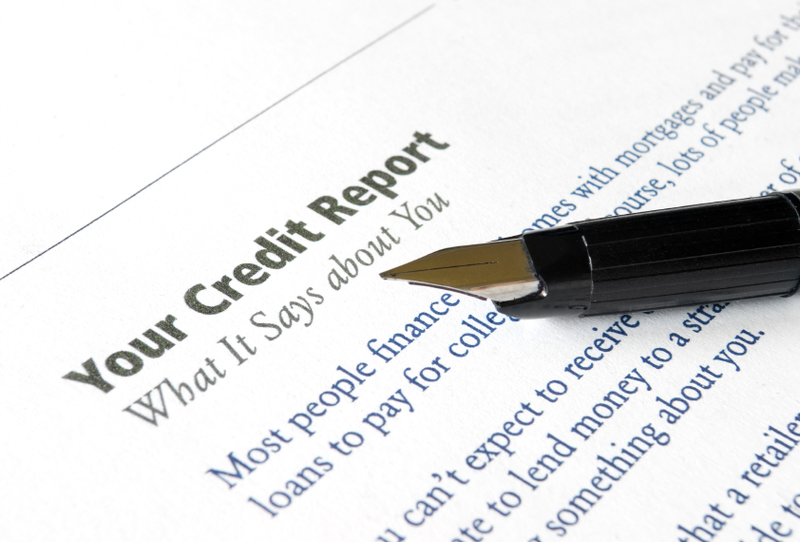 The three major credit-reporting agencies that report on personal credit are Experian, Transunion, and Equifax. Both Experian and Transunion provide business credit monitoring along with Dunn & Bradstreet, which also can’t be ignored. As a small business, ignoring either your personal or business credit score can cost you. If you need to repair your credit, a good place to start is with your personal credit score, since you’ll likely have a longer history there and for most small business owners, especially those just getting started, your personal credit score will probably be where a lender will look first. If you don’t know what your credit score is right now, that’s the first thing to investigate. You’ll want to look for errors. If there are errors on your report, you can reach out to the reporting creditor to request they make the appropriate changes. If there are no errors, you’ll need to brace yourself to invest some time into improving your credit. The single biggest thing you can do to improve your credit is to make timely payments. If you have a reliable income, I like the idea of automatic payments for your mortgage or an auto loan. Because these are likely two of your biggest monthly obligations, automatic payments make it easy to stay current. My credit union also accepts automatic payments for my credit card balance and other credit accounts. If that doesn’t work for you, many banks offer payment reminders through their online banking portals you can set up to remind you of upcoming payments due. This isn’t about consolidating credit cards or lumping all your debt into a second mortgage. The first thing you need to do is stop using your credit cards for everything. I know this is easier said than done, but fixing your credit will likely require you to reduce your credit exposure. Use your credit report to determine where you are paying the most interest and start by focusing on those credit obligations first. Once you’ve payed off that credit account, go for the second highest interest rate and apply the payments you were making on the first account to the second account, and so on until you’ve payed down all your high-interest debt. Although there may be those who would disagree, most people don’t need six or seven credit cards and can get by with one or maybe two. As a younger man, I worked in my Dad’s small industrial supply business. He was a master at evaluating what he really needed (which he would sometimes buy on credit) and what might make doing business a little easier, but we could live without (which he never bought on credit). One of the biggest tips I have found valuable over the years (because I’ve sometimes ignored them myself and had to face the consequences) are to use credit when you need to, but not if you can make purchases by other means. It’s important to use credit to maintain a credit score, carrying an occasional balance for something you really need is likely all you’ll need to do. Spending a year or so focused on improving your credit score will yield positive results when you really need to work with a bank or other small business lender. Let us know what you’re doing to maintain a positive credit score in the comments section below. Or reach out to us on Facebook and Twitter.